June 30, 2010 (Investorideas.com renewable energy/green newswire, www.renewableenergystocks.com) - Investorideas.com a leading global investor and industry portal covering the green and renewable energy sector reports on green stock trading for June 30th. Two of the Most Advanced gainers at NASDAQ include green stocks Tesla Motors, Inc. (Nasdaq: TSLA) and Broadwind Energy (NasdaqGS: BWEN) as of 6/30/2010 12:50:00 PM. Broadwind Energy, Inc., (NasdaqGS: BWEN) based in Naperville, Illinois, provides technologically advanced high-value products and services to the U.S. wind energy industry. Broadwind’s product and service portfolio provides customers, including wind turbine manufacturers, wind farm developers and wind farm operators, with access to a broad array of wind component and service offerings. These product and service offerings include wind turbine gearing systems, wind turbine towers, industrial products, technical services, Precision Repair and Engineering services, and logistics. Tesla Motors, Inc. (Nasdaq: TSLA) designs, develops, manufactures and sells high-performance fully electric vehicles and advanced electric vehicle powertrain components. In addition to designing and manufacturing vehicles, Tesla sells and services them through its own sales and service network. Tesla has delivered over 1,000 Tesla Roadsters to customers in 22 countries. Tesla is headquartered in Palo Alto, California. More info:Green and alternative energy investors can research wind stocks and energy efficient stocks with the Investor Ideas Renewable Energy Stocks Directory, one of the most comprehensive directories online. The directory is updated with new green stocks each month as new public companies file Green IPO’s or reverse mergers and enter the sector. The Directory includes publicly traded green stocks on the TSX, TSX Venture, OTC, NASDAQ, AMEX, NYSE, ASX, AIM, Hong Kong and China and other leading Stock Exchanges. The directory includes info and links on Alternative Energy Funds, Biogas and Ethanol Stocks, Energy Efficiency Stocks, Flywheel Stocks, Fuel Cell Stocks, Geothermal Stocks, Hydrogen Production, Micro Turbine Stocks, Solar Stocks, Smart Grid Stocks, Green Transportation, Wind Power and Wind Energy Stocks and Green Infrastructure Stocks. 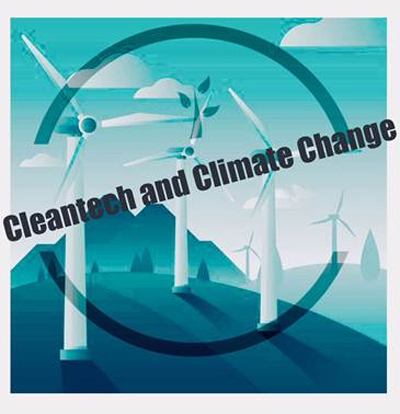 Cleantech Investor Member Network at Socialgo.comhttp://investorideas.socialgo.com/A social network for investors of all levels to share investing ideas in cleantech for both private investments and publicly traded stocks. We offer free and premium memberships. Join- share ideas and network today! Disclosure. Learn about our green showcase options for publicly traded cleantech companies. To become a showcase company, contact us below. Will Tesla Motors, Inc. (Nasdaq: TSLA) Drive Green Investors Back into the Market? June 30, 2010 - (Investorideas.com renewable energy/green newswire) Investorideas.com a leading global investor and industry portal covering the green and renewable energy sector reports on green stock trading for the morning of June 30th. Electric car company, Tesla Motors, Inc. (Nasdaq: TSLA) is driving green investors back into the market following a 40% gain on its IPO debut. What made it more impressive was to see the IPO perform so well on a bad trading day in markets overall. The Tesla initial public offering of 13,300,000 shares of its common stock was priced to the public of $17.00 per share. The stock is currently trading at $26.75, up $ 2.86 (11.97%) 9:59AM EDT, trading as high as $27.44. Tesla Motors, Inc. (Nasdaq: TSLA) is also one of the top trending searches on Yahoo.com. About Tesla Motors, Inc.Tesla Motors, Inc. (Nasdaq: TSLA) designs, develops, manufactures and sells high-performance fully electric vehicles and advanced electric vehicle powertrain components. In addition to designing and manufacturing vehicles, Tesla sells and services them through its own sales and service network. Tesla has delivered over 1,000 Tesla Roadsters to customers in 22 countries. Tesla is headquartered in Palo Alto, California. Green investors can research green automotive stocks with the Investor Ideas Renewable Energy Stocks Directory, one of the most comprehensive directories online. The directory is updated with new green stocks each month as new public companies file Green IPO's or reverse mergers and enter the sector. About Our Green Investor content:Investorideas.com was on the of the first investor sites covering investing in water and renewable energy stocks and has become a global go-to destination for investors researching the cleantech sector, with stock directories, company news, commentary from experts, research reports and industry resources and links. Investors can follow solar stocks commentary on our site with solar expert, J. Peter Lynch. June 29, 2010 (Investorideas.com renewable energy/green newswire) Investorideas.com a leading global investor and industry portal covering the green and renewable energy sector reports on green stock trading for June 29th. Electric car company, Tesla Motors, Inc. (Nasdaq: TSLA) market debut had no brakes as trading near the end of the day moved the stock up significantly from its IPO price. The stock was trading at $21.2, up $ 4.25 (25.00%) at 2:43PM EDT. Green and alternative energy investors can research green automotive stocks with the Investor Ideas Renewable Energy Stocks Directory, one of the most comprehensive directories online. The directory is updated with new green stocks each month as new public companies file Green IPO’s or reverse mergers and enter the sector. Investors also have the option to access the directory as part of the Investor Ideas Membership premium content that currently features an additional 10 stock directories, including the water stocks directory and all cleantech stock directories. June 29, 2010 - (Green IPO news at Investorideas.com) www.RenewableEnergyStocks.com, a leading investor news and research portal for the renewable energy sector within www.Investorideas.com, reports that electric vehicle company Tesla Motors, Inc, (Nasdaq: TSLA), announces the pricing of its IPO and commences trading. Tesla Motors, Inc. (Nasdaq: TSLA), a manufacturer of highway-capable fully electric vehicles and electric vehicle powertrain components, today announced its initial public offering of 13,300,000 shares of its common stock at a price to the public of $17.00 per share. The shares will begin trading on Tuesday, June 29, 2010 on the NASDAQ Global Select Market under the ticker symbol “TSLA.” Of the shares in the offering, 11,880,600 shares are being offered by the company and 1,419,400 shares are being offered by selling stockholders. In addition, the selling stockholders have granted the underwriters a 30-day option to purchase up to an additional aggregate of 1,995,000 shares of common stock to cover over-allotments, if any. Tesla will not receive any proceeds from the sale of shares by the selling stockholders. The offering of these securities will be made only by means of a prospectus, copies of which may be obtained from Goldman, Sachs & Co., via telephone: (866) 471-2526; facsimile: (212) 902-9316; email: prospectus-ny@ny.email.gs.com; or standard mail at Goldman, Sachs & Co., Attn: Prospectus Department, 200 West Street, New York, NY 10282-2198; from Morgan Stanley & Co. Incorporated, via telephone: (866) 718-1649; email: prospectus@morganstanley.com; or standard mail at Morgan Stanley & Co. Incorporated, Attn: Prospectus Department, 180 Varick Street, New York, NY 10014; from J.P. Morgan Securities Inc., via telephone: (718) 242-8002; or standard mail at c/o Broadridge Financial Solutions, 1155 Long Island Avenue, Edgewood, NY 11717; or from Deutsche Bank Securities Inc., via telephone: (800) 503-4611; or standard mail at 100 Plaza One, Jersey City, NJ 07311 Attn: Prospectus Department. A registration statement relating to these securities has been declared effective by the Securities and Exchange Commission. This press release shall not constitute an offer to sell or a solicitation of an offer to buy, nor shall there be any sale of these securities in any state or jurisdiction in which such an offer, solicitation or sale would be unlawful prior to registration or qualification under the securities laws of any such state or jurisdiction. Tesla designs, develops, manufactures and sells high-performance fully electric vehicles and advanced electric vehicle powertrain components. In addition to designing and manufacturing vehicles, Tesla sells and services them through its own sales and service network. Tesla has delivered over 1,000 Tesla Roadsters to customers in 22 countries. Tesla is headquartered in Palo Alto, California. Visit the Investorideas.com Green Investor Portals: www.RenewableEnergyStocks.com, www.FuelCellCarNews.com , www.EnvironmentStocks.com, www.Water-Stocks.com all within the Investorideas.com hub. Green Energy investors can research stocks with the Renewable Energy Stocks Directory, one of the most comprehensive directories online. The directory has and estimated 1100 stocks and new stocks are added each month for investors following the sector. The renewable energy stocks directory features stocks listed on the TSX, OTC, NASDAQ, NYSE, AMEX, ASX, AIM markets and other leading exchanges. The directory includes info and links on Alternative Energy Funds, Biogas and Ethanol Stocks, Energy Efficiency Stocks, Flywheel Stocks, Fuel Cell Stocks, Geothermal Stocks, Hydrogen Production, Micro Turbine Stocks, Solar Stocks, Smart Grid, Green Transportation, Wind Power and Wind Energy Stocks and Green Infrastructure Stocks. About InvestorIdeas.com:InvestorIdeas.com is a leading global investor and industry research resource portal specialized in sector investing covering multiple industry sectors including water, mining, renewable energy, energy, biotech, defense and global markets including China, India, Middle East and Australia. The website covers several sectors but has a focus on environment and water. Investorideas.com meets the needs of retail investors, public companies and entrepreneurs with unique tools and services ranging from stock directories, newsfeeds, funding directories and more. June 29, 2010 – (Investorideas.com water stocks newswire) www.InvestorIdeas.com and its leading water investor portal www.water-stocks.com issue the company profile for Wescorp Energy Inc. (OTCBB: WSCE), a clean water solutions company for the oil and gas industry. Environmental remediation Oil/water separationWescorp Energy's H2Omaxx technology focuses on helping oil and gas producers solve their "produced water" issues. Our H2Omaxx process incorporates patented aeration technology employing microscopic bubbles several orders of magnitude smaller than conventional technology, resulting in providing clients with cleaner produced water by lowering the amounts of (parts per million) hydrocarbon, providing the option of reinjection, or disposal or off-shore discharge. As well, H2Omaxx provides additional oil recovery, and reduces processing operational expenses. Disclaimer: The following company profile for Wescorp Energy Inc. (OTCBB: WSCE) is a paid for submission. Our sites do not make recommendations. Nothing on our sites should be construed as an offer or solicitation to buy or sell products or securities. We attempt to research thoroughly, but we offer no guarantees as to the accuracy of information presented. All Information relating to featured companies is sourced from public documents and/ or the company and is not the opinion of our web sites. This site is currently compensated by featured companies, news submissions, company profile submissions and online advertising. June 28, 2010 - (Investorideas.com renewable energy/green newswire) Investorideas.com a leading global investor and industry portal covering the green and renewable energy sector reports on green stock trading for June 28th. Two of the top gainers at NASDAQ include Energy Recovery, Inc. (NasdaqGS: ERII), trading at $4.47, Up $0.67 (17.63%) at 1:38PM EDT and China Wind Systems, Inc. (NasdaqGM: CWS) trading at $ 4.72, up $ 0.66 (16.26%) at 1:39PM EDT. Energy Recovery Inc (NASDAQ:ERII) designs and develops energy recovery devices that help make desalination affordable by significantly reducing energy consumption. Energy Recovery technologies include the PX Pressure Exchanger™ (PX™) device for desalination and the Turbocharger hydraulic turbine energy recovery device and pumps for desalination, gas and liquid processing applications. The company is headquartered in the San Francisco Bay Area with offices in Detroit and worldwide, including Madrid, Shanghai and the United Arab Emirates. For more information about Energy Recovery Inc.
China Wind Systems (NasdaqGM:CWS) supplies precision forged components such as rolled rings, shafts and flanges to the wind power and other industries and industrial equipment primarily to the textile industry in China. With its newly finished state-of-the-art production facility, the Company has increased its production and shipment of high-precision rolled rings and other essential components primarily to the wind power and other industries. Green and alternative energy investors can research wind stocks and energy efficient stocks with the Investor Ideas Renewable Energy Stocks Directory, one of the most comprehensive directories online. The directory is updated with new green stocks each month as new public companies file Green IPO’s or reverse mergers and enter the sector. Renewable Energy Stocks Group on www.linkedin.com -This group is for investors following publicly traded green and renewable energy stocks, as well as IR and PR contacts. Members are encouraged to share and publish news and commentary on the sector. Disclaimer: Our sites do not make recommendations. Nothing on our sites should be construed as an offer or solicitation to buy or sell products or securities. We attempt to research thoroughly, but we offer no guarantees as to the accuracy of information presented. All Information relating to featured companies is sourced from public documents and/ or the company and is not the opinion of our web sites. Disclosure: Investorideas is compensated by featured green companies, news submissions and online advertising.Disclosure. Learn about our green showcase options for publicly traded cleantech companies. To become a showcase company, contact us below. "It is time for us to move to a clean energy future"
(http://www.investorideas.com/ clean energy stocks blog ) White House Blog; President Obama held a Cabinet meeting at the White House to discuss a variety of topics with the Cabinet ranging from economic growth, national security and the war in Iraq, the BP Oil Spill, and the need for comprehensive energy and climate legislation. We also got a full briefing from our national security team as well as Vice President Biden on Iraq. It hasn’t received a lot of attention lately, but we are on pace to meet every target that we set at the beginning of this administration, to have our combat troops out and to transfer security responsibilities to the Iraqis. And we had a discussion about the progress that's been made in terms of government formation there. Ken Feinberg has already traveled to the Gulf, and he is meeting with governors and local officials with the $20 billion fund that has been set up. We want to make sure that that money is moving out as quickly as possible, as fairly as possible, and that some of the people who I’ve had a chance to talk to down in the Gulf who are just desperate for relief are getting help as quickly as possible. The President will meet with a bi-partisan group of Senators to discuss energy and climate legislation next week. The live chat with Heather Zichal, Deputy Assistant to the President for Energy and Climate Change, on energy and climate legislation originally scheduled for this afternoon will be rescheduled for next week as well so she can discuss the outcome of the meeting. WINNIPEG, June 23 TSX Wind Stocks( http://www.investorideas.com/ cleantech stocks blog) Industrial Growth Income Corporation (NEX: IGI.H) ("IGIC"), a capital pool company listed on the NEX board (the "NEX") of the TSX Venture Exchange (the "Exchange"), is pleased to announce that it has signed an arm's length letter of intent (the "Letter of Intent") dated June 17, 2010 with IQwind Ltd. ("IQwind") to acquire all of the issued and outstanding shares of IQwind. If completed, the proposed transaction (the "Qualifying Transaction") will constitute the qualifying transaction of IGIC pursuant to Policy 2.4 Capital Pool Companies of the Exchange (the "CPC Policy"). IGIC was incorporated on September 22, 2005 and began trading on the Exchange on August 16, 2006 as a capital pool company. IGIC was transferred from the Exchange to the NEX on May 27, 2009 for failure to complete its qualifying transaction within the required time period. Upon completion of the Qualifying Transaction, provided all necessary approvals are obtained, IGIC will return to listing on the Exchange. IQwind is a developer and manufacturer of components for the wind turbine industry. IQwind is a private company incorporated on August 28, 2007 pursuant to the laws of the State of Israel. To date IQwind has been focused on technology development and has not reached the revenue stage. IQwind was founded with the vision of reducing the cost of energy generated by wind turbines through an efficient and reliable mechanical gear that would increase performance and reduce the cost of wind turbines. IQwind has become an innovator in the wind energy industry focused on leveraging its proprietary variable gear technology, called the IQgear, to reduce the cost of energy generated by existing and newly-built wind turbines. The IQgear technology is the basis for the IQgearbox, a breakthrough in wind turbine gearbox design. The IQgearbox represents an industry innovation: a variable speed turbine built around a fully-mechanical variable speed drivetrain. A press release containing additional details regarding the business of IQwind as well as certain financial information regarding IQwind will be released by IGIC as soon as such information is available. Pursuant to the Letter of Intent, IGIC will acquire 100% of the issued and outstanding shares in the capital of IQwind and the Qualifying Transaction will result in IQwind becoming a wholly-owned subsidiary of IGIC. IQwind currently has issued and outstanding: (i) 100,000 Ordinary Shares; (ii) 66,667 A-1 Shares; (iii) 161,499 A-2 Shares; (iv) 23,000 options to purchase Ordinary Shares; and (v) 1,520 A-2 warrants (collectively, the "IQwind Securities"). In consideration for the IQwind Securities, IGIC will issue to the securityholders of IQwind 100,000,000 common shares of IGIC ("Common Shares") at a deemed price of $0.20 per Common Share for a total purchase price of $20,000,000. As additional consideration for the IQwind Securities, IGIC has agreed to issue: (i) 1,500,000 options to purchase Common Shares at a price of $0.20 per Common Share to individuals who will be directors, officers, employees or consultants of the issuer resulting from completion of the Qualifying Transaction, which options shall be exercisable for a period of five years from the date of issuance; and (ii) 114,000 warrants to purchase Common Shares at a price of $0.20 per Common Share, which warrants shall be exercisable for a period of two years from the date of issuance. It is a condition of the Qualifying Transaction that IQwind must complete a brokered private placement (the "Private Placement") of a minimum of 35,000,000 ordinary shares of IQwind at a minimum price of $0.20 per share for minimum gross proceeds of $7,000,000. These shares will be exchanged for Common Shares on a one for one basis pursuant to the Qualifying Transaction. Versant Partners Inc. will lead a syndicate of agents (together, the "Agents") for the Private Placement. The Agents will be paid 6.5% of the gross proceeds of the Private Placement, and in addition, the Agents will receive broker warrants in the amount of 6.0% of the number of securities issued in the Private Placement, with a strike price equal to the subscription share price of the Private Placement and exercisable for a period of time to be determined between IQwind and the Agents, subject to Exchange requirements. The use of proceeds will be targeted for R&D purposes, sales and marketing and working capital and general corporate purposes. The sole control person of IQwind is Terra Venture Partners. The controlling shareholder of Terra Venture Partners is Astorre Modena. IGIC currently has 4,025,000 Common Shares issued and outstanding as well as 320,000 options to purchase Common Shares at a price of $0.20 per Common Share. Upon completion of the Qualifying Transaction, assuming completion of the minimum Private Placement, IGIC will have the following securities issued and outstanding: (i) 139,025,000 Common Shares; (ii) 1,820,000 options to purchase Common Shares at a price of $0.20 per Common Share; (iii) 114,000 warrants to purchase Common Shares at a price of $0.20 per Common Share; and (iv) 2,100,000 broker warrants to purchase Common Shares at a price of $0.20 per Common Share for a period of time to be determined between IQwind and the Agents, subject to Exchange requirements. The Qualifying Transaction is not a "Non Arm's Length Qualifying Transaction" within the meaning of the CPC Policy. Accordingly, the completion of the Qualifying Transaction is not subject to the approval of the shareholders of IGIC in accordance with the CPC Policy. The Letter of Intent has been approved by the boards of directors of each of IGIC and IQwind. It is subject to the satisfaction of a number of customary conditions for closing the Qualifying Transaction, including approval of the Qualifying Transaction and related matters by the Exchange and the filing of a filing statement by IGIC, as well as due diligence by both IGIC and IQwind and the completion of the Private Placement for gross proceeds of at least $7,000,000. IGIC's management team is currently comprised of Gary Coleman, Chairman, Chief Executive Officer and a director and Earl Coleman, Chief Financial Officer. In addition to Gary Coleman, IGIC's board of directors includes David Filmon and Ab Freig. Upon completion and closing of the Qualifying Transaction, it is anticipated that Gary Coleman, Gideon Ziegelman and Astorre Modena shall be the ongoing directors of IGIC. It is also anticipated that David Filmon and Ab Freig will resign as directors of IGIC as a condition of the closing of the Qualifying Transaction. Gideon Ziegelman, Chairman and CEO - Mr. Ziegelman is a founder and Chief Executive Officer of IQwind. Mr. Ziegelman is an entrepreneur with over 15 years of experience in the high-tech and alternative energy industries. He was a co-founder of a $75 million alternative energy mutual fund and a technology startup focusing on electricity storage solutions for the wind energy market. Mr. Ziegelman holds an MBA from INSEAD, Fontainebleau, France and a BSc in electrical engineering from the Technion, Israel. Astorre Modena, Director - Dr. Modena is a board director and general partner in Terra Venture Partners, a cleantech ventures fund and a major shareholder in IQwind. Before founding Terra, he was a Principal at Israel Seed Partners, a seed-stage venture capital in Israel with more than $260 million under management. Prior to Israel Seed, Mr. Modena was with McKinsey & Co., where he consulted to leading Italian, French and Israeli manufacturing and financial corporations. He holds a B.Sc. in Physics and a Ph.D. in Plasma Physics from Imperial College in London. Gary Coleman, Director - In addition to his positions with IGIC, Mr. Coleman has been the Chief Executive Officer of Big Freight Systems Inc., a transportation company headquartered in Steinbach, Manitoba, since 1997. Mr. Coleman was also the President, Chairman and a director of Global Fortress Inc. from May 25, 2000 until April 23, 2003 when it completed its qualifying transaction pursuant to the policies of the Exchange and transformed into Lakeview Real Estate Investment Trust by way of a plan of arrangement. Erez Baron, Chief Financial Officer and Corporate Secretary - Mr. Baron brings 15 years of management, finance and operation experience in the technology industry to his position as CFO at IQwind. Before joining IQwind, Mr. Baron served as a CFO of HelioFocus, a company that develops high efficiency solar-thermal systems to provide high temperature heat. Before joining HelioFocus, Mr. Baron served as a CFO of Samsung Semiconductor Israel, previously known as TransChip, there he was deeply involved in the first acquisition of Samsung Electronics in Israel done in 2007. Before that, Mr. Baron served as Director of Finance in Orckit Communications (NASDAQ: ORCT). Mr. Baron also spent several years as CPA with PricewaterhouseCoopers Israel. Mr. Baron received his BA degree in Accounting and Economics and an MBA, both, from Tel Aviv University. Erez is a Certified Public Accountant and also he is a Certified Mediator from Law Office of State of Israel. Nimrod Eitan, Chief Technology Officer - Mr Eitan is a founder and CTO of IQwind. A mechanical engineer with over 30 years experience in product development and R&D management, he served as Chief Engineer of a technology startup, which matured into Cycle Group Inc., an international producer of industrial and agricultural products. Mr. Eitan also served as a Technical Manager for several companies in the United States and Israel and holds a BSc in mechanical engineering from the Technion, Israel. Doron Simon, Business Development Officer - Mr. Simon has 25 years of experience in high level executive positions. Mr. Simon served as Tower Semiconductor (NASDAQ: TSEM) VP marketing and president of Tower USA, a company with $500 million in annual revenue. In recent years Mr. Simon gained significant experience in growing early stage technology companies to revenue growth phase. Mr. Simon received his MBA degree from Heriot-Watt business school, Edinburgh, UK and a BSc. in Industrial Engineering from the Technion, Israel. IGIC has not yet engaged a sponsor for the Qualifying Transaction and will apply to the Exchange for an exemption from the requirement to obtain a sponsor. The granting of such an exemption is within the discretion of the Exchange and there can be no assurance that it will be granted. The common shares of IGIC will remain halted pending receipt of satisfactory documentation by the Exchange and an additional press release by IGIC providing further information regarding IQwind. Mr. Ziegelman, the Chief Executive Officer of IQwind, states "We are excited about the opportunity that the transaction with IGIC provides our company. The transaction with IGIC will provide IQwind with the opportunity to grow and accelerate its development plans thus becoming a major player in the alternative energy space by bringing its IQgear technology to market quicker than originally planned." Completion of the transaction is subject to a number of conditions, including, but not limited to, Exchange acceptance and if applicable pursuant to Exchange requirements, majority of the minority shareholder approval. Where applicable, the transaction cannot close until the required shareholder approval is obtained. There can be no assurance that the transaction will be completed as proposed or at all. Become an Investorideas.com member and research stocks and invest in cleantech : get login access to all 4 cleantech stock directories including water stocks and renewable energy stocks : http://www.investorideas.com/membership/ . Disclaimer - this is not a solicitation to buy or sell stocks . LONDON--Cleantech News (http://www.investorideas.com/ cleantech stocks blog )--Blue Sphere Corporation (OTCBB: BLSP) (the "Company" or “Blue Sphere”), a company in the Cleantech sector as an Emission Reduction project integrator, is pleased to announce that it has signed a non-binding term sheet for the construction of an anaerobic fermentation methane production system and a 5.66 MW power generation system at what is thought to be the largest dairy farm in the world in Liaoning Province, China. .If the project proceeds, Blue Sphere will be the investor and co-developer of the project together with the Huishan Group. Huishan Group is the fifth largest dairy group in China and has 70 dairy cattle ranches, constituting the world’s largest dairy cow base. Huishan has over 60 years experience in cattle farming. There are three anticipated sources of income if the project proceeds: electricity, sale of organic fertilizer and carbon credits (“CERs”). It is estimated that the potential annual electricity generated could be 37,639 MWh, the potential annual fertilizer production could be 619,770 tons and the potential annual CERs generated could be 180,000. It is also estimated that the potential annual income from electricity is RMB 19.62 million (net of VAT) (approximately USD $2.88 million at current exchange rates), potential income from fertilizer is RMB 20.45 million (approximately USD $3.0 million) and potential income from CERs is Euro 1.62 million (approximately USD $2 million) calculated at Euro 9/CER. The companies have applied to the National Development and Reform Committee of China (NDRC) to deem this a national pilot project. If approval is granted subsidies and preferential policies could potentially be allocated to the project. Conditions to proceed with the project include due diligence and capital raising for the investment required, among other conditions. The total investment for the project is estimated at $30 Million USD. China ratified the Kyoto Protocol in 2005. Projects to reduce greenhouse gas emission in China are eligible for carbon credits through the Clean Development Mechanism (CDM). China has already begun projects reducing CO2 emissions from power generation from biomass residue congestion. This news release contains “forward-looking statements.” Statements in this press release, which are not purely historical, are forward-looking statements and include statements concerning the Company’s business outlook or future economic performance, anticipated revenues, expenses or other financial items; plans and objectives related thereto; and assumptions or expectations relating to any future events, conditions, performance or other matters. Such forward-looking statements include, among others, that we will finalize contracts and obtain permits to construct and operate a fermentation methane production system and a 5.66 MW power generation system in Liaoning Province, China. ; that we can fulfill all conditions to proceed with the project, sign contracts and develop the project to sell electricity, fertilizer and CERs, including successfully raising financing for infrastructure and equipment, use technology that is effective at burning biomass in an environmentally friendly way, and complete the project as expected; that we can sell the CERs generated from the projects at Euro 9/CER; that the project costs are $30 million; that the anticipated income from the various revenue sources will be generated; and that the Company can become a key player in the global carbon reduction market. Forward-looking statements are subject to risks, uncertainties and factors include, but are not limited to the nature of the carbon credit industry, including changing customer demand, changing regulatory requirements, an immature and unpredictable market for CERs, different regulations across national borders, customer acceptance of our services and products, the impact of competitive services, products and pricing, dependence on existing management, that technology may not work as expected and general economic conditions. In regards to our company, the following are also risk factors: we may not be able to finalize negotiations and sign contracts; our ability to finance operations and growth, our ability to attract and retain employees and consultants, competition from cheaper or more accepted competitors, whether our technology can perform under commercial conditions and our ability to keep control on costs. Sales of electricity, fertilizer and CERs, if realized, does not necessarily mean that our company will be profitable. In addition our company faces political risks in the regions where we operate. Readers should also refer to the risk disclosures outlined in disclosure documents filed by other start up environmental companies with the Securities and Exchange Commission available at www.sec.gov. Plug In Carolina announced it has selected AeroVironment, Inc. (AV) /quotes/comstock/15*!avav/quotes/nls/avav (NASDAQ: AVAV ) in Monrovia, Calif., to supply, install and support a network of public electric vehicle (EV) "re-fueling" stations in seven South Carolina cities. The charging network is expected to be operational by December 1, 2010 to support the variety of new EVs entering the roadways. The project, funded largely by two state grants secured through the South Carolina Energy Office and scheduled to launch June 15, 2010, features a family of charging stations with one, two, or four charge points each. The multi-port configuration is user friendly and lends itself to cost-effective electrical installation. The stations will be located in key re-fueling hubs in each city. "With seven cities located across the state installing charging stations, this project is helping to establish not only EV ready cities but positioning South Carolina as the first EV ready state in the country," said James Poch, Plug In Carolina executive director. The program will provide publicly accessible EV charging stations at locations such as municipal parking garages, public streets and retailers. Depending on host city requirements, the stations will offer smart communications and payment system options now or in the future. "AeroVironment submitted the most comprehensive proposal among the eleven that we received, not only reflecting their deep understanding of the technology but also of the practical infrastructure considerations involved in creating a reliable EV charging network," Poch said. "Beyond our hardware needs, it became apparent to us why Nissan would choose AV to handle its nationwide deployment. We are confident that AV's detailed project management capabilities will maximize the network's utility to EV drivers." "Refueling infrastructure is critical for the mass acceptance of clean electric vehicles," said Mike Bissonette, senior vice president and general manager of AV's Efficient Energy Systems segment. "The move to EVs is demonstrating momentum now, and reliable charging systems for both the home and in the public will be essential for the full-scale, practical adoption of electric cars. We are committed to achieving the successful implementation of this pioneering recharging network for the people of South Carolina." AeroVironment has been developing, manufacturing and supporting EV charging products for more than a decade. AV offers a broad range of products and services, such as Level 2 charging stations for the home, and public and Level 3 fast charge public stations that can re-fuel a car battery in as little as 10 minutes. AV also offers robust, multi-modal communication, networking and payment systems that support the evolving needs of public charging infrastructure. Founded in 2006, Plug In Carolina is a non-profit organization sponsored by the state's major utilities: South Carolina Electric & Gas Co., Duke Energy, Santee Cooper and Lockhart Power. Its stated mission is to educate and promote the environmental, economic and national security benefits of plug-in vehicles. Building on a history of technological innovation, AV designs, develops, produces and supports an advanced portfolio of Unmanned Aircraft Systems (UAS) and efficient electric energy systems. Agencies of the U.S. Department of Defense and allied military services use the company's battery-powered, hand-launched UAS to provide situational awareness to tactical operating units through real-time, airborne reconnaissance, surveillance and target acquisition. AV's clean transportation solutions include power cycling and test systems and industrial electric vehicle charging systems for commercial and institutional customers, as well as EV home chargers and EV fast chargers for consumers. More information about AV is available at www.avinc.com . Research Renewable Energy and water stocks as an Investor Ideas member and gain access to global green stock directories inbcluding green automotive stocks. JINHUA, CHINA, ( Investorideas.com renewable energy/green newswire, http://www.renewableenergystocks.com/ ) Kandi Technologies, (NASDAQ:KNDI) reported today that following the Chinese governmental approval it received for the sale domestically of its EV vehicle types 5012xxybev and 5020xxybev (batch 203 and batch 212, respectively) published by the Ministry of Industry and Information Technology (MIIT) on May 26, 2010, it has received another approval for the sale of its new EV, the KD5010xxyev, in MIIT announcement No. 104 (batch 214). As previously reported, upon receiving its first EV approval on May 26, 2010, after many years of effort, the Company gained the right to manufacture finished automobiles for Chinese consumers. This was a milestone event which it believes has set the foundation for developing domestic EV sales. According to the Company, however, its first two models to receive government approval are suitable for limited consumer groups, and the Company does not intend for them to be mass produced. In contrast, in the Company's view, the applicable sphere of the new faster and larger KD5010xxyev is much broader and it has great market potential. Not only does it potentially provide families with low cost, environmentally friendly all electric transportation, but it also is expected to meet the needs of government agencies such as the post office and power supply providers. As such, the Company is optimistic that the new KD5010xxyev will achieve popularity and contribute to the Company's future development. Kandi Technologies, Corp. (KNDI ) ranks as one of the largest manufacturers and exporters of go-karts in China, making it a world leader in the production of this popular recreational vehicle. It also ranks among the leading manufacturers in China of all terrain vehicles (ATVs), and specialized utility vehicles (UTVs), especially for agricultural purposes. Recently, it introduced a second generation high mileage, two seater three-wheeled motorcycle. A major company focus also has been on the manufacture and sales of highly economical, beautifully designed, all electric super mini cars -- for neighborhood driving and commuting. Available in convertible and hardtop models in the U.S., the COCO travels up to 60 miles at speeds reaching 25mph on a six hour charge. Recently, Kandi received government approvals for the sale of its super-mini EVs in China. Additionally, the Company has spearheaded formation of "The Alliance for Chinese Electrical Vehicle Development and Commercialization ("The Alliance" -- see below) for the development and servicing of EVs in China with the goal of becoming a leading player in the emerging EV industry. Kandi believes that battery powered, electric super minis will become the Company's largest revenue and profit generator. The Company's products can be viewed at http://www.kandivehicle.com. On January 4, 2010, Kandi announced it had forged an Alliance with major Chinese energy, IT and battery companies to help launch a new electronic vehicle (EV) era in China. The new business model of the Alliance addresses key hurdles to mass commercialization of EVs by reducing EV purchase costs, eliminating battery concerns and substantially increasing driving ranges. The new model envisions expansion on a city by city basis of its new model, key elements of which include: strong government cooperation, separating the sale of electric vehicles from the sale of batteries, construction of a comprehensive network of "battery stations" within each city for rental, repair, replacement and charging of batteries, and also, utilizing Kandi vehicles and patented and patent pending EV technology for easy removal and replacement of batteries. The core members of the Alliance are: Kandi Technologies Corp., China Potevio/CNOOC New Energy and Power Ltd. (a joint venture between China National Offshore Oil Corporation and China Potevio Co.) and Tianneng Power International, Ltd. Jinhua City, where Kandi is based, has been chosen as the first model EV city by the Alliance. CLEVELAND, N.C.--(Investorideas.com water stocks newswire, http://www.water-stocks.com/ )--Meet the smartest fire hydrant on the block. .Beginning this year, utilities will have a cost-effective and innovative new option for building AMR/AMI smart grid communications for water management with the Mi.Hydrant™, from Mueller Systems. Mi.Hydrant uses radio transceivers built into fire hydrant caps to communicate water usage-related data that can help utilities improve efficiencies and customer service. It eliminates the need for costly utility leases and enhances the value of existing water infrastructure assets. Mi.Hydrant is part of the Mi.Net™ Mueller Infrastructure for Utilities advanced metering infrastructure (AMI) system from Mueller Systems. Mueller Systems is part of Mueller Water Products, Inc. (NYSE: MWA), the leading provider of water infrastructure, flow control and piping component system products. Mueller Systems is the first and only provider to recognize that utilities can use existing hydrant infrastructure to be part of a communications grid, linking multiple components of a water infrastructure system; permitting utilities to improve information flows; and the ability to respond to customers’ needs. Mi.Hydrant systems can proactively identify and resolve critical issues around operational efficiency, water conservation, and workforce productivity -– before they affect service. Mi.Hydrant is an enclosed transceiver that replaces the pumper cap of existing fire hydrants, blending aesthetically and operationally into the existing water infrastructure. It can provide multi-path radio frequency coverage. The device first collects and stores water infrastructure data in its own internal memory. Then, both on demand and at scheduled intervals, it transmits data to the Mi.Net™ Mueller “Infrastructure Network for Utilities” AMI system. Mi.Hydrant thus extends a 900 MHz public broadband, multi-path network for billing, metering and intelligent management of data and water. Because many municipal codes require fire hydrant placement every 500 feet, utilities can take advantage of the cost savings of using what they already have. The Mi.Hydrant has a range of two-to-three times that distance, creating important communications links that can be built or be part of a communications grid for AMR/AMI from the meter to utility distribution communications, and back again. It provides a complete, end-to-end, two-way “smart water” network for AMR and AMI. Utilities can reduce equipment and labor costs and can eliminate the need to navigate the procedures, politics, and logistics of locating and installing additional structures on which to place communication devices. Mueller Water Products, Inc. is a leading North American manufacturer and marketer of a broad range of water infrastructure, flow control and piping component system products for use in water distribution networks and water treatment facilities. The Company's broad product portfolio includes engineered valves, fire hydrants, pipe fittings, water meters and ductile iron pipe, which are used by municipalities, as well as the residential and non-residential construction industries for heating, ventilation and air conditioning, fire protection, industrial, energy and oil & gas industries. With latest 12 months net sales through March 31, 2010 of $1.4 billion, the Company is comprised of three operating segments: Mueller Co., U.S. Pipe and Anvil. Based in Atlanta, Georgia, the Company employs approximately 5,100 people. The Company's common stock trades on the New York Stock Exchange under the ticker symbol MWA. For more information about Mueller Water Products, Inc., please visit the Company's Web site at http://www.muellerwaterproducts.com/. British Petroleum ( BP: NYSE) signed a letter of intent with Ocean Therapy Solutions to deploy thirty-two centrifuge machines to assist in the cleanup of oil in the Gulf of Mexico. BP agreed to use the technology after testing machines during the past week. Just one of the company's V20 machines can clean up to 210,000 gallons of oily water per day. There are 3 V20 centrifuge machines currently operational in the Gulf. Ten more should become operational within weeks. ”Once production at our factory in Nevada ramps up in July, OTS will be able to produce 10 machines a month,” said Pat Smith, Chief Operating Officer for OTS. ”We are currently ramping up production of new machines with a goal toward deploying the machines along the entire coast,” he said. ”We have chosen teaming partners that are at ground zero and understand the challenges we face, including Edison Chouest Offshore, the largest offshore supply company in the Gulf of Mexico,” said John W. Houghtaling II, Chief Executive Officer of Ocean Therapy Solutions. The centrifuge machines are sophisticated centrifuge devices that can handle a huge volume of water and separate oil at unprecedented rates. Costner has been funding a team of scientists for the last 15 years to develop a technology which could be used for massive oil spills. The machines are taken out into the spill area via barges, where they can separate the oil and water. The machines come in different sizes, the largest of which, the V20, can clean water at a rate of 200 gallons per minute. Depending on the oil to water ratio, the machine has the ability to extract 2,000 barrels of oil a day from the Gulf. Once separation has occurred, the oil is stored in tanks. The water is then more than 99% clean of crude.